STUDENTS! Come have a blast during the AOPA Fly-In. Register now for your seat in a class (or two, or three, or four) in the STEM Lab. Fly the Redbird Jay Velocity simulator during the Fly-In and learn STEM! 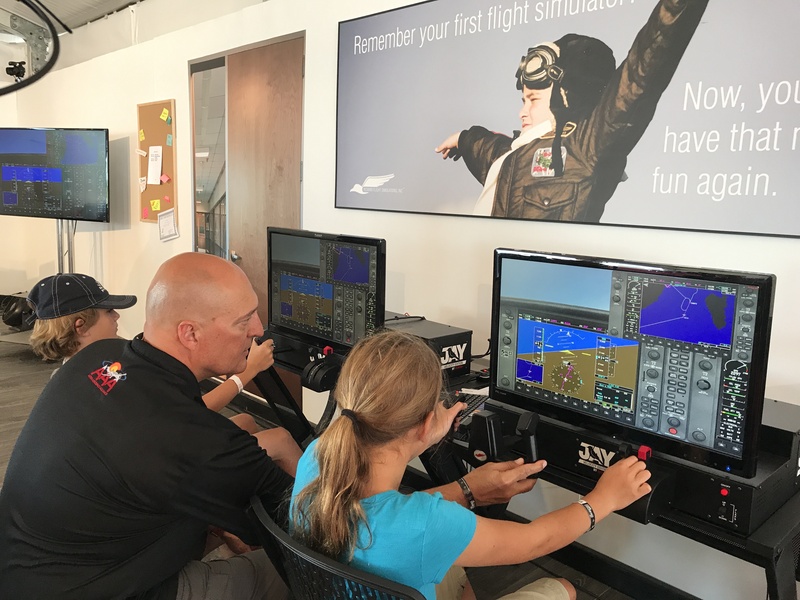 We are integrating science, technology, engineering, and mathematics into aviation-themed classes while incorporating flight simulators into the lessons. The Redbird STEM Lab will highlight how impactful, hands-on training makes for a fun learning environment. The Redbird STEM Lab will be located in Hangar 8-F next to the seminars and workshops, and "class" will be in session Friday, June 15 and Saturday, June 16 from 9:00 am to 2:45 pm for 5th graders and up. Classes are free to all attendees and students will receive a Redbird give-a-way. Come and learn as often as you'd like! Navigation – Which Way? How Far? How Long? View the complete course descriptions here.